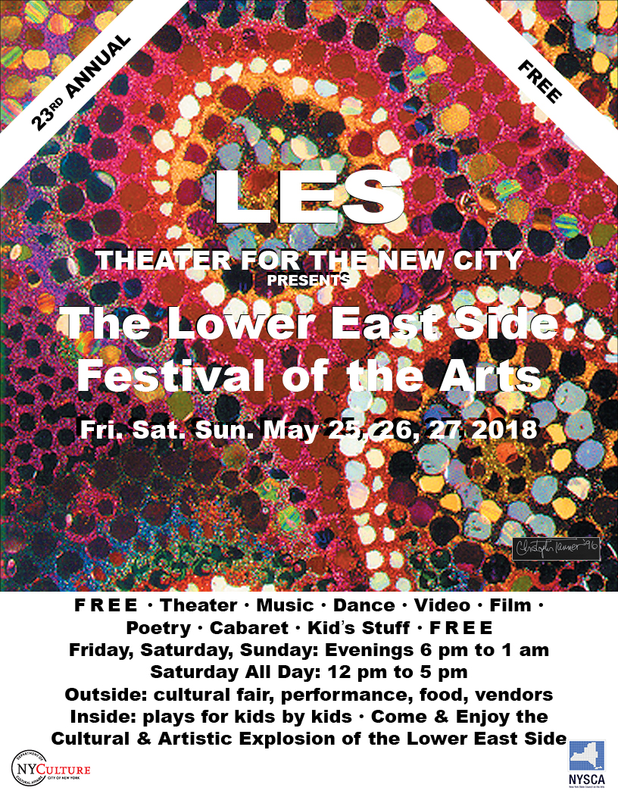 The festival includes hundreds of well-known and emerging artists ranging from theater to dance, music to movies, a street fair and art exhibit. The whole festival is FREE FREE FREE! This theater complex has four points of focus. The stream of performances is nonstop from Friday 6pm through Sunday night at 1am. There’ll be a street fair outside at 155 First Avenue between 9th and 10th Streets. I lived on the LES on 7th Street between C&D when it was 3/4 abandoned buildings and squatters. It has come a long, long way…. Silent Gen – sometimes we need to expand our definition of art…. Kanopy.com, the fantastic movie site of the NY Public Library available for every library card holder, has 30,000+ films and documentaries – all totally free. The #1 film about grey gays, Gen Silent: Discrimination Against LGBT Seniors, by Interrobang Productions / Stu Maddux Films is rarely free on the internet – but occasionally it is: and now is the time. It is available on Kanopy.com in an abridged version and in its full 89 minute version. – The generation that fought hardest to come out of the closet is going back in to survive. – What would you do if you were old, disabled or ill – and the person feeding you put down the spoon and said that you are going to hell unless you change your sexual preference? – Sound absurd? Social workers around the world say it’s happening every day. I’m a 3D photographer from my teen years in the 1950s. Then Kodak stopped developing 3D slides in the 1970s. At that time there were only about 300 of us left. We’d haunt antique camera fairs. But mounting 3D slides while creative (you can make tigers leap out of the picture – stuff like that – by simply varying the distance between the two images)… is real hard work. Tweezer stuff. So I have what my teen brain was able to produce. But not much more. But what if you just had chalk… ? Well, that thought has occurred to enough people worldwide to produce some very entertaining and thought provoking imagery… take a look at the Crevasse link below for the making of one of these images. Is it art? Who cares? yes, of course it is – if art is defined as what’s just pure fun. That’s art isn’t it? it’s letting go with a brush and color and letting whatever’s been caged up go at it…. He is also probably the most famous on the Internet of all five 3D street artists featured in this … His illusion they can be traced back to Kurt Wenner pastel drawings. Be overwhelmed – and delighted: go to https://www.nycxdesign.com/blog/ or /events/ and discover an avalanche of design events all focused on NYC. Everyone from the dept of sanitation to Turkish architects – plus all the education players in the city – are having a Design Fest. Rarely have I ever seen something so rich, complex and appetizing. It’s far too complicated for a simple list. That’s why you need to dive into the nycxdesign site and wander around. Use the map and search function. Whatever you can imagine, they probably have a discussion or workshop or exhibition on. -Tribeca Design District – Taking place on May 17, the event will host showrooms that include Colony, David Weeks Studio, and Stillfried Wien. May 17, 7–10 pm, various locations. -NoMad Design District – On May 18, this white hot design district opens its collective doors to the public. Myriad showrooms will be hosting cocktail parties, activations, and individual events throughout the district. May 18, 6–9 pm, various locations. -SoHo Design District – On May 19, the SoHo Design District will host several NYCxDESIGN event hosts and attendees in their participating showrooms. May 19, 6–9 pm, various locations. -East Midtown Partnership – The Partnership includes the A&D and D&D Buildings, and additional home decor and decorative arts retail locations and showrooms on East 58th, East 59th, and East 60th Streets. If you’re old fashioned and don’t like your world imploding on you, take this link – https://www.nycxdesign.com/content/uploads/2018/05/NYCxDESIGN-May-Kickoff-Release-Final.pdf – to go to the 13 page press release from hell. It lists every aspect of this design monster six-years-in-the-making. Throwaway statistics like “The design industry makes up 25 percent of manufacturing jobs in Brooklyn” will startle you. This juggernaut is hurtling towards May 23 for its culmination. Get onboard! if you’re into design, this is a phenomenon designed to please…. Romance and Reason presents the transformations of a Classical past engaging illuminated Islamic manuscripts. It has works from the 11th through 18th centuries. International Jazz Day started the week off here in NYC – on April 30th. Appropriately the Greek mission to the UN sponsored at the UN a forum and performances of Jazz Democracy. Jazz figures from all over the world pulled together to showcase how much jazz has become global – and how it epitomizes democratic values. (That’s where the Greeks came in, with justified pride at being the birthplace of democracy.) Many pointed remarks were made as to how democracy was still under the gun, still needed celebration and reinforcement – how the need for jazz and its democratic values was more important than ever. The event took place in the Trusteeship Chamber Hall and was MC’d by Dimitri Vassilakis. Dimitri and his jazz artists highlighted elements in jazz performance that can be used in the work environment, social relations, and political issues. The highlight of the evening were videos from Georgia Tech of the use of artificial intelligence – and robotic drummers. Since two of the evening’s performers were drummers it was extremely interesting to gauge their reactions as to whether these robots were their replacements – or equal players who could increase the dialogue in the equality-based conversations which are at the core of jazz. A reception in the great entry hall of the recently refurbished UN capped off a challenging, thoughtful, and heartfelt evening. Jeanne Bresciani and members of the Isadora Duncan International Institute gave a dance performance with Dimitri Vassilakis’s jazz sax playing in the reception area at the same time. I left the UN’s festivities and celebration of democracy feeling that this conversation has only just begun…. And last but not least, Steve Kaufman, 355, epitomizing the exuberant American pop experience that seems joined by a startlingly active international presence in this show of shows. All this should get you oriented, and unleash the art power within the artists – and within yourself.